Happy 1st day of Fall! 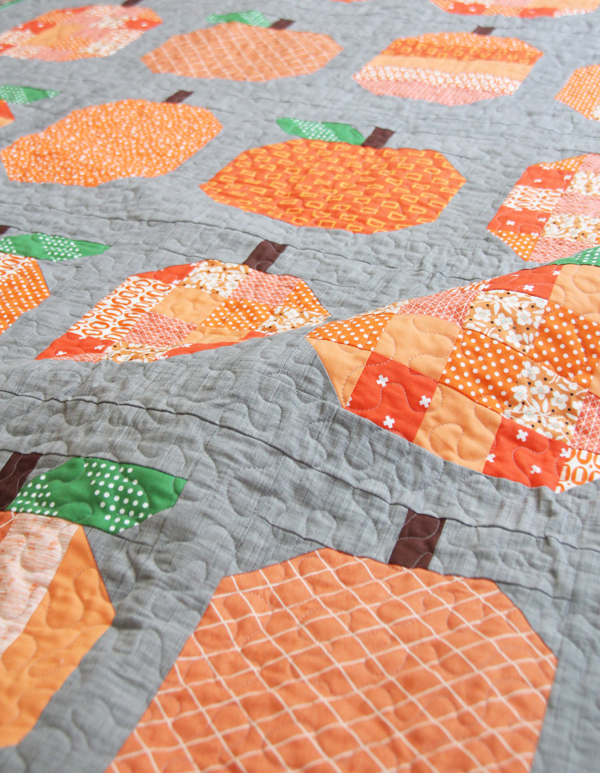 Last year I made this pumpkin quilt on a whim and I’ve been looking forward to pulling it out of storage all year. It’s starting to be crinkly and soft with lots of use and washings last year. I still get tons of questions about the fabrics in this quilt, I put links to the fabrics I bought all at the bottom of the original post. 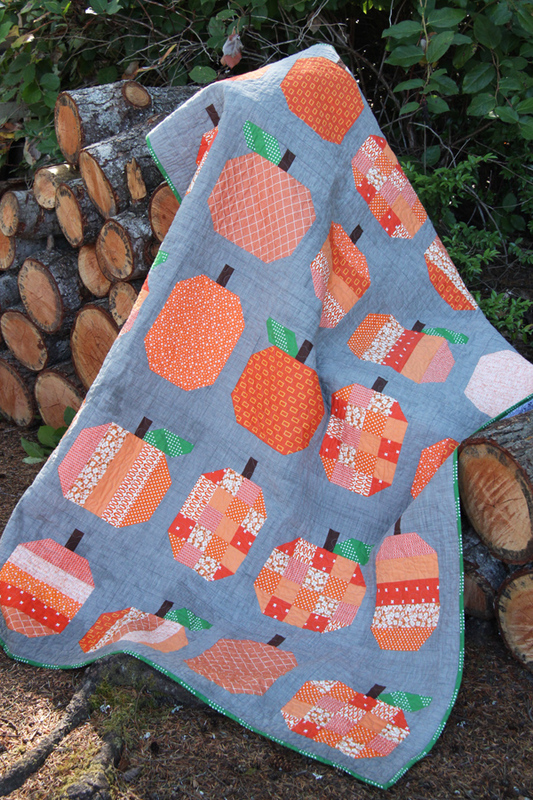 It looks like a few of them are still available but really any orange small-ish prints would be amazing in this quilt! The Pumpkin pattern can be found here as a PDF, or here as a paper pattern. The Mini version can be found here. 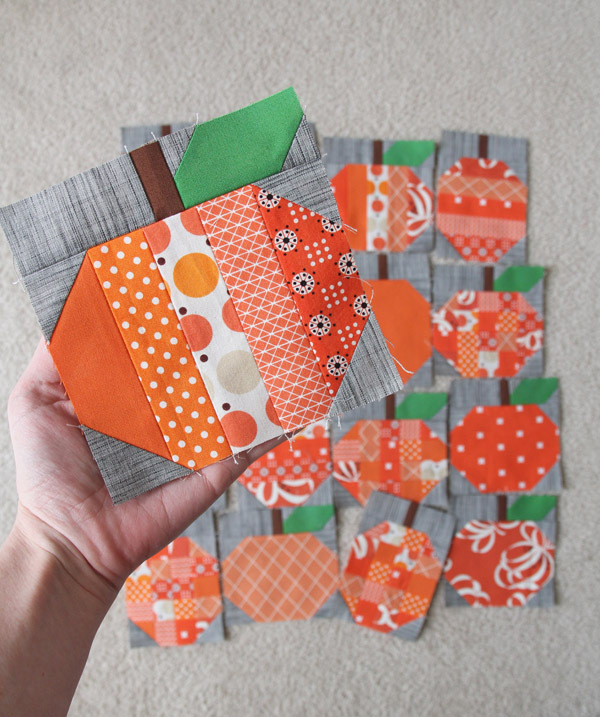 If you get a chance look at the #pumpkinsquilt hashtag on Instagram (link here), there is so much fun Pumpkin inspiration! 12 Responses to Happy Fall! That is very cute! I have a newfound love for orange and that mini pumpkin is calling my name today ;). Thanks for sharing. I just ordered the pattern. It caught my eye and looks like a fun one to make. What size is it? Looks like a good size throw. This quilt is so sweet! Soooo cute! 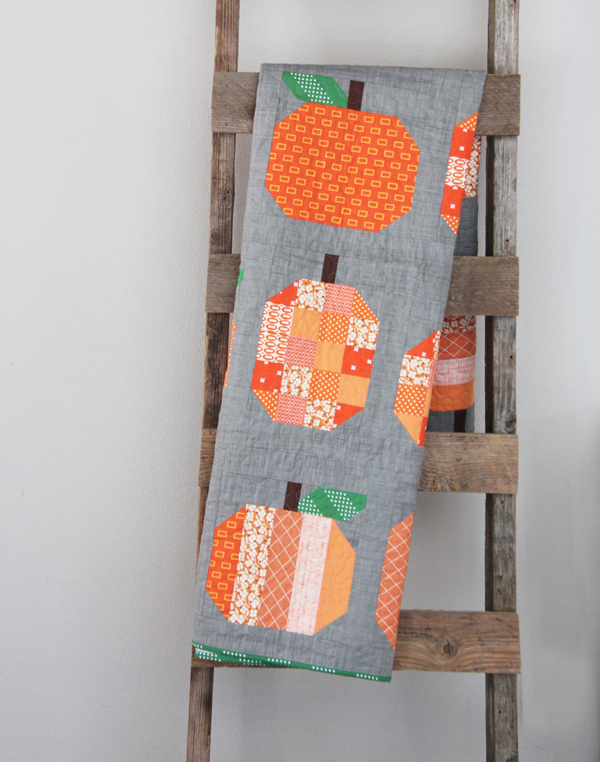 I love this pumpkin quilt! I’m going to make it. Cant wait to get started…🎃 Happy Fall! Happy Fall or Autumn as we call it here in Australia. To be honest I’m glad winter is behind us and Spring has sprung for us. 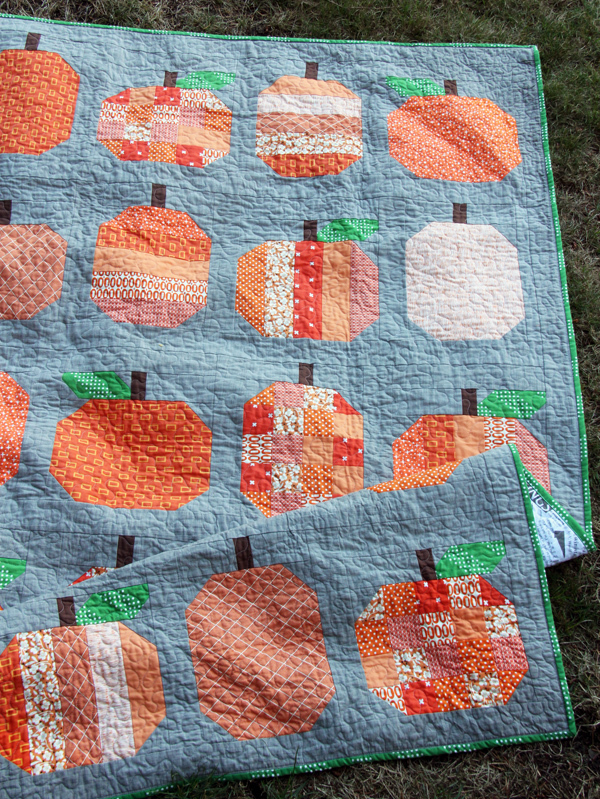 However any time is a good time for your beautiful pumpkin quilt. Perhaps this year you could make a quilt with autumn leaves in all those greens, oranges, reds and purples. Loving all your beautiful quality inspiration. This would also work with reds and greens to make an apple quilt! Yes! It would be darling!